We finally got to see The Forgotten Carols as a family! I wrote about the tickets and how I was looking forward to it last month, but today I wanted to share a little about the show & what we all thought of it. 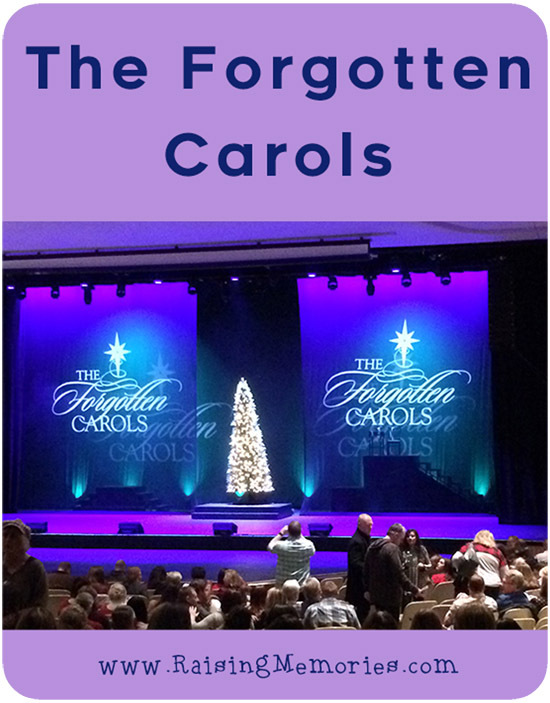 The Forgotten Carols is a play about a man who claims to have known several people from the time of Jesus, who were involved with the Christmas story. Each character has his or her own carol (a song written by Michael McLean), and each character is someone "forgotten" (someone we don't hear too much about when we re-tell the Christmas story). The music is SO good! 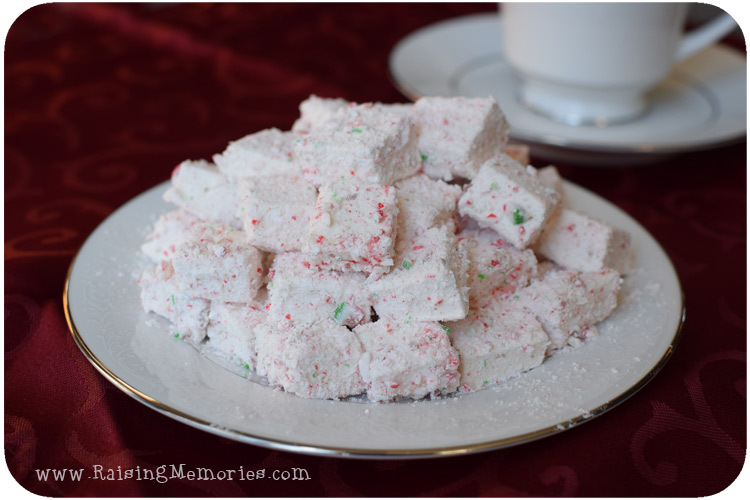 I first published this post about how to make candy cane marshmallows almost 2 years ago, but I wanted to share it this month because it's SUCH a delicious recipe! It makes some mess and takes some effort because making marshmallows is kind of an unusual thing for most of us, but you can totally do it and they are SO soft and delicious and your kids will never forget making these with you! :) So, if you've got the time to devote to the making & the clean-up, this just might be the perfect thing to put on your Christmastime bucket list! Whether they've been working hard outside shoveling the driveway, building a snow fort, making snow angels or just hiking home from the school bus stop, my kids love to come inside and warm up with a nice cup of hot chocolate. We decided to make it more fun during their winter holidays last week and make our own marshmallows! I have always loved adding candy cane to hot chocolate (there's just something so good about that hint of mint mixed in! ), so we tried coating our freshly made marshmallows in a mix of icing sugar and crushed candy cane and the result was fabulous! I'm going to share the recipe with you because I made some alterations to the original marshmallow recipe I shared on the blog 4 years ago. That recipe was great but it made a TON of marshmallows. Today's recipe makes a smaller batch so it's just right if you're making them just for your own family. There is no denying it, the winter is here and in full force. Itchy skin, dry eyes, chapped lips and a stuffy nose are just the start of winter woes. Today let's talk about winter care! 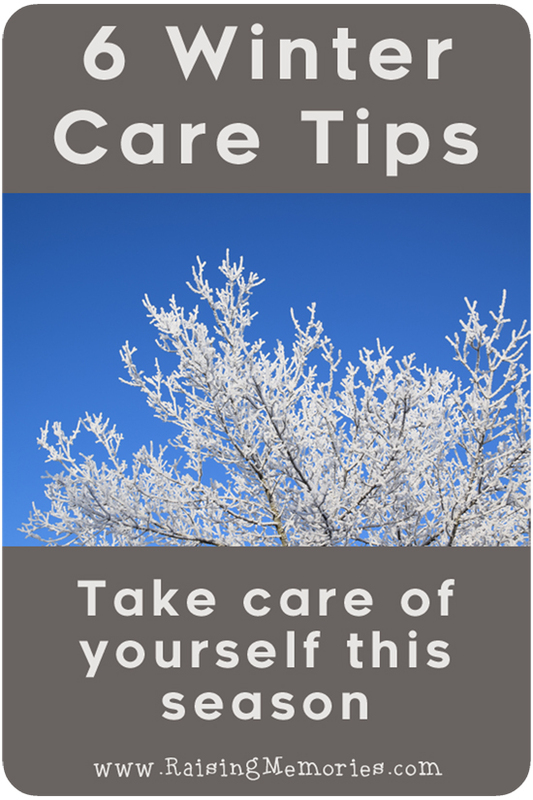 Try these simple tips and tricks to beat the harsh effects of the coldest months. While we are still more than 12 days away from Christmas I want to re-share this post so that you can plan ahead if you'd like to try this advent! 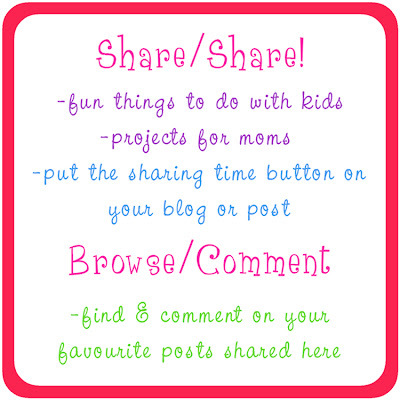 It's all focused on Christ and includes activities and printables to make it easy for you to put into action! Christmas time can get SO busy! Some years it's hard to keep Christ as the center of the celebration, with parties and shopping and planning to fill your family's time! Here is a fun 12-day advent that you can do with your family to help them to keep the Savior as their focus. 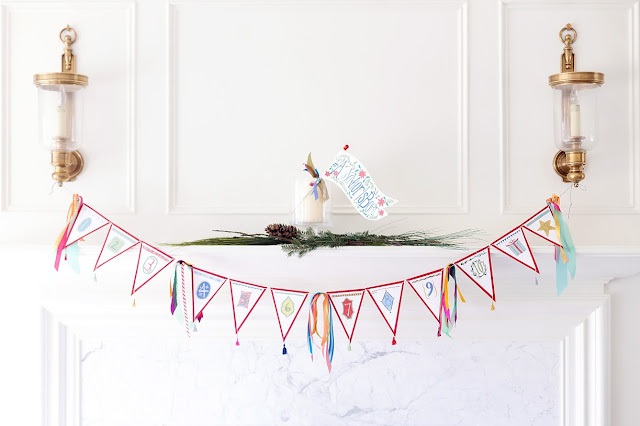 These ideas were put together with busy families in mind, so this will be a good way to remember Jesus and focus on the reason for this season without having to spend too much time planning how to do it! You can download a pennant flag bunting (which you can print here) that has all of the scriptures on it, if you'd like a cute decoration/reminder. :) Hang it all at once or add a flag each day! December has hit and with it, a lot of snow for us here in Utah! 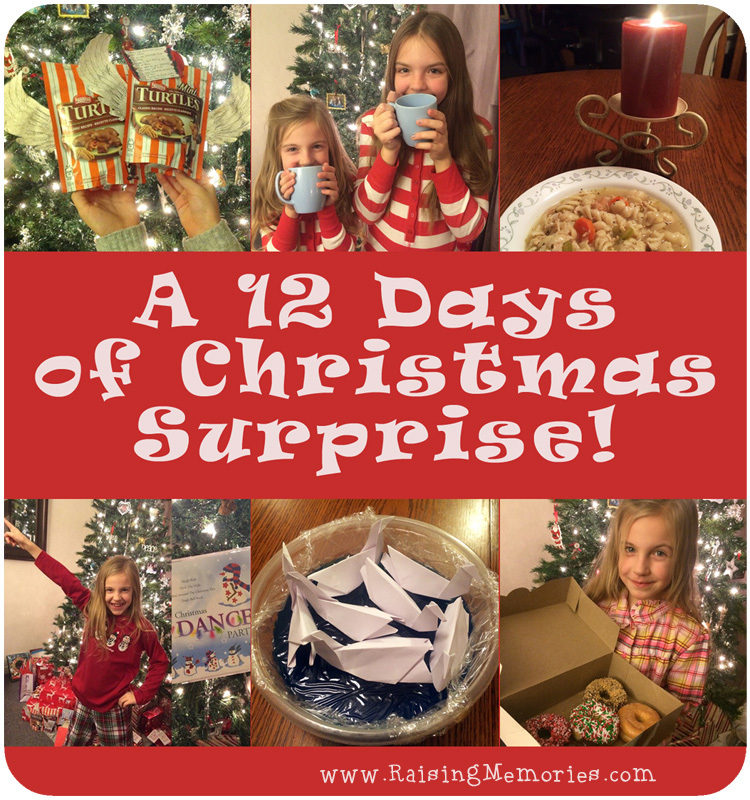 It has really put us in a Christmas-y mood and it seemed like a good time to share this "12 Days of Christmas Surprise" post with you again. I originally shared it in early December of last year. Near the end of last year, I was struggling with feelings of frustration with the uncertainty that came with Ken's PhD. He had been in school far longer than we planned or expected and there was no end date in sight. Those last few years of Ken's degree were difficult for both of us. As I was dealing with some of those feelings and trying to focus on the positive and on all of our blessings and all of the good in our lives, something pretty awesome happened to us! I wanted to share this experience with you because I've been thinking a lot about how we can serve others this month and I thought sharing this might inspire some of you with some ideas of how to show love and support to the people in your life. Whether you feel you can set aside the time, effort, and money to do something as involved as this, or there's a cute idea in the mix that sparks an idea for you, I hope it inspires you to do something kind for someone else. 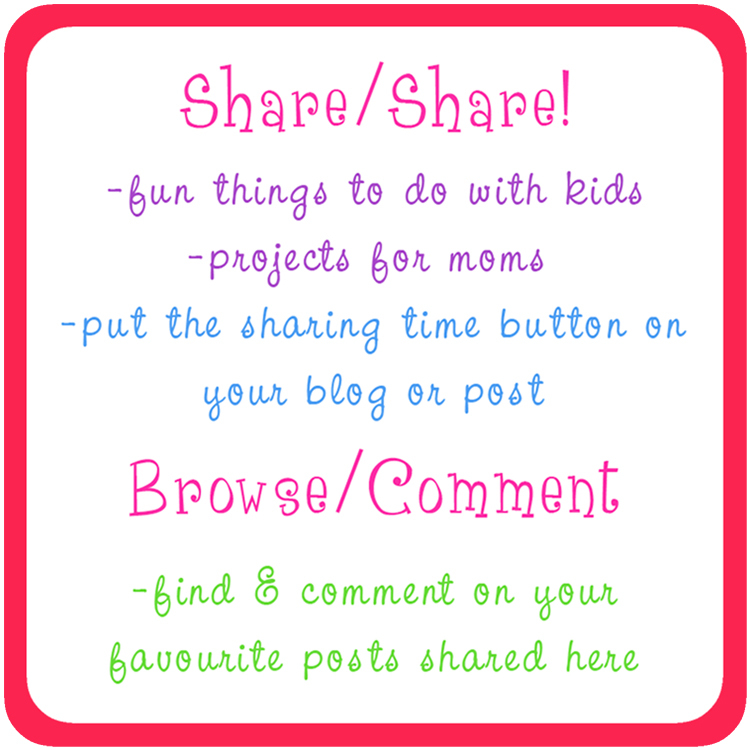 Welcome to the December Link Party!